Vernadite: Mineral information, data and localities. Named after Vladimir Ivanovich Vernadskii (Владимира Ивановича Вернадского) (1863-1945), professor of geochemistry, Moscow University (Russia). 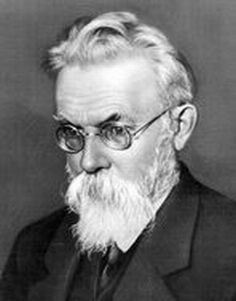 Founder of the Ukrainian academy of sciences. According to Giovanoli (1980), vernadite is random-stacked birnessite. May be confused with feroxyhyte. Buserite 1 photo of Vernadite associated with Buserite on mindat.org. Birnessite 1 photo of Vernadite associated with Birnessite on mindat.org. Serrabrancaite 1 photo of Vernadite associated with Serrabrancaite on mindat.org. Phosphosiderite 1 photo of Vernadite associated with Phosphosiderite on mindat.org. Rockbridgeite 1 photo of Vernadite associated with Rockbridgeite on mindat.org. Todorokite 1 photo of Vernadite associated with Todorokite on mindat.org. Zapiski Vserossiyskogo Mineralogicheskogo Obshchestva (1937): 66(4): 703-712. Betekhtin, A.G. (1944) Genetic types of maganese deposits. Izvestiya Akademii Nauk SSSR: 1944(45): 1-46. Fleischer, M. (1946) New mineral names. American Mineralogist: 31: 85-86. Fleischer, M., Burns, R.G., Cabri, L.J., Chao, G.Y., Hogarth, D.D., Pabst, A. (1979) New mineral names. American Mineralogist: 64: 1329-1334. Giovanoli, R. (1980) Vernadite is random-stacked birnessite. Mineralium Deposita: 15: 251-253. Manceau, A., Gorshkov, A.I., Drits,V.A. (1992) Structural chemistry of Mn, Fe, Co, and Ni in manganese hydrous oxides: Part II. Information from EXAFS spectroscopy and electron and X-ray diffraction. Amererican Mineralogist: 77: 1144–1157. Izvestiya Akademii Nauk SSSR, geologic. seria: 6: 5-19. Murdmaa, I.O., Bogdanova, O.Y., Gorshkov, A.I., Novikov, G.V. and Shevchenko, V.P. (2000): Lithology and Mineral Resources 35(6), 594-597. ENGLAND, B. M. & TURNER, K. E. (1988): An Occurrence of Kolbeckite (Eggonite) ScPO4.2H2O from the Central Coast, New South Wales, Australia. Austral. Mineral. 3(4), 151-156. Onac, B. P., & Forti, P. (2011). State of the art and challenges in cave minerals studies. Studia UBB Geologia, 56(1), 33-42. Fan, D., Ye, J., and Li, J. (1999): Ore Geology Reviews 15(1), 31-53.
ⓘ Bučník Hill Quarry ? Jirásek J., Matýsek D., Minaříková A. (2018) Oxidické minerály manganu z jihomoravských andezitoidních hornin (Západní Karpaty). 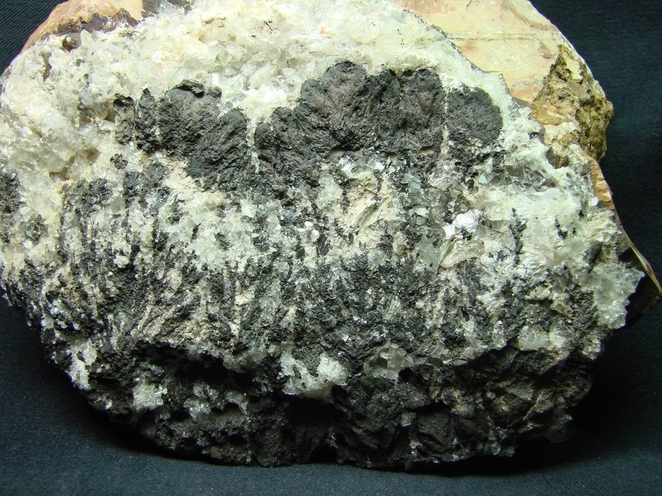 Bull Mineral Petrolog 26(2): 168-175. Hochleitner, R. (1979): Lapis Aktuell: Vernadit von Laurion. Lapis, 4(10), 6; Hochleitner, R. (1980): Lapis Aktuell: Vernadit = Kryptomelan. Lapis, 5(2), 5. KILIAS, S. P. (2012). MICROBIAL MAT–RELATED STRUCTURES IN THE QUATERNARY CAPE VANI MANGANESE-OXIDE (-BARITE) DEPOSIT, NW MILOS ISLAND, GREECE. Microbial Mats in Siliciclastic Depositional Systems Through Time, SEPM (Society for Sedimentary Geology) Special Publication, 101, 97-100. Hein, J. R., Schwab, W. C., & Davis, A. (1988). Cobalt-and platinum-rich ferromanganese crusts and associated substrate rocks from the Marshall Islands. Marine Geology, 78(3-4), 255-283. Rex, R. W. (1967). Authigenic silicates formed from basaltic glass by more than 60 million years contact with sea water, Sylvania Guyot, Marshall Islands. In Clays and Clay Minerals: Proceedings of the Fifteenth Conference, Clay Minerals Society (pp. 195-203). 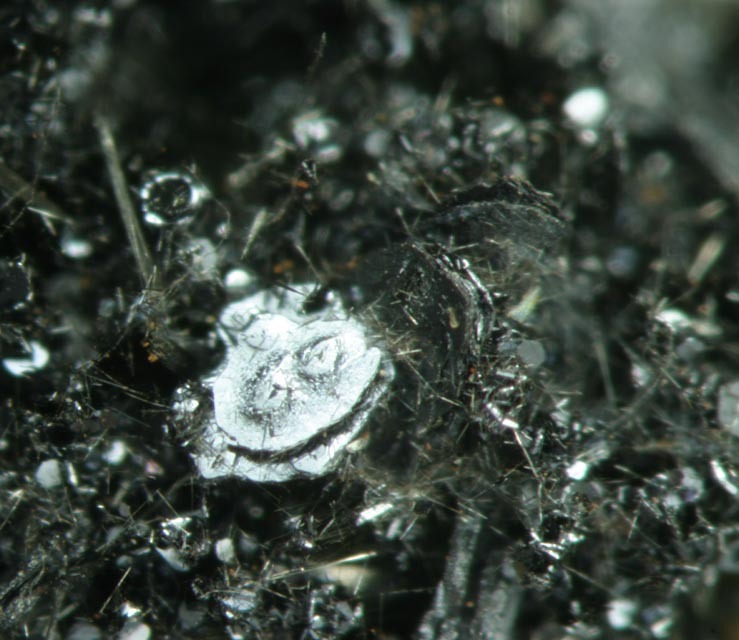 Wegorzewski A.V., Kuhn T. (2014): The influence of suboxic diagenesis on the formation of manganese nodules in the Clarion Clipperton nodule belt of the Pacific Ocean. Marine Geology, 357, 123-138. Novikov, G.V., Vikent’ev, I.V., and Bogdanova, O.Y. (2006): Geology of Ore Deposits 48(4), 304-325.
ⓘ Horná Ľudovít adit ?